Our girl BOSCO recently dropped the visuals for her track, “Slippin.” A while back 13thflr posted the awesome sauce that was the audio from “Slippin,” but now thanks to the genius of Andrew Litten, we have some stunning video to boot. We’re glad to see that BOSCO has the glow again (What up, Taimak?) and there’s also word that she’s re-linked with her longtime manager and “Jill of all trades,” Fadia Kader. Now, kiss her Converse! We gave you a heads up about SMKA Presents The Hangout: A3c Edition, and now you can have it all to yourself if you download it here. The 14-track compilation doesn’t disappoint and somehow despite the myriad of artists involved, listening is seamless as if all these cats had been making music together for years. Amazing what creative minds can achieve in all of 36 hours. 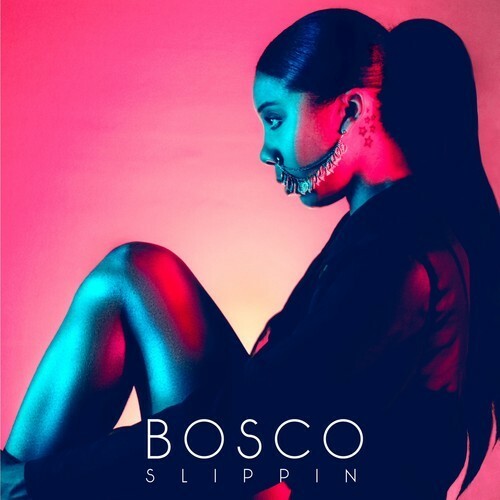 Our good friend BOSCO recently gifted the interwebs with her smooth, new track, “Slippin.” Let’s just say we’ve had this bad boy on repeat, and aren’t even mad we had to wait almost two months since her last offering. Check out “Slippin” below, and download it here. Also, be on the lookout for more from BOSCO and production from NEVRNEVER. Those SMKA boys are at it again. A week or so ago my brother 808 Blake sent me this track “How Much” with Boldy James, Problem and Jarren Benton joining forces. Blake wanted my early thoughts and I told him something along the lines of this was, “Chief Keef meets Lil’ Jon and the East Side Boyz meets A$AP Mob,” to which he replied, “that was spot on!” Don’t take it from me, you can check out the track below. “How Much” is the first leak from The Hangout: A3C Edition mixtape. In collaboration with Revolt TV and the aforementioned A3C Festival, SMKA booked the legendary Stankonia Studios here in Atlanta. The idea was to get some of the best up and coming music talent to connect, vibe and make tunes for the rest of us to enjoy. After three days, almost 30 artists and 12-hour recording marathons, the first release is now upon us. The Hangout: A3C Edition features production from SMKA’s 808 Blake and Kato, as well as Prolyfic and Kamal of RadioActiveKids. Other artists include Chuck Inglish, Forte Bowie and Scotty ATL. The Hangout: A3C Edition will be released on Tuesday, October 29. Somewhere 808 Blake and that Hump Day camel are going crazy, I’m sure. 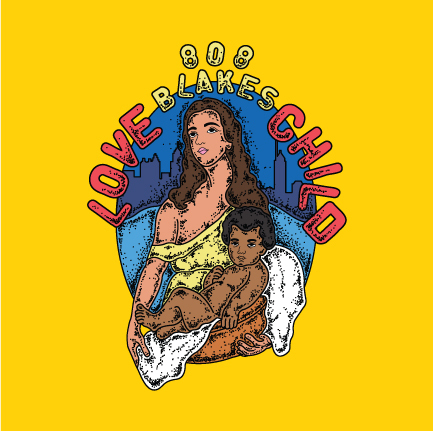 No knock to the latter, but 808 Blake’s reason for excitement is more legit in that it stems from the release of his solo instrumental album, 808 Blake’s Love Child. Blake hipped us to the project last week and today we’re happy to announce that folks can download Love Child for free. 808 Blake’s Love Child also features production from NEVR and Kyle King. The track “Daddy’s Boy,” was recorded by Trinidad James producer, Justin Padron. Cover art by CJ Bryant.